The Indian Point nuclear power plant in Buchanan, New York, is seen from across the Hudson River, in this April 6, 2010 file picture. A former supervisor at the Indian Point nuclear plant in New York has been accused of falsifying test results involving emergency generators so the plant would not have to shut down. Daniel Wilson, 57, of Walden, N.Y., was charged in federal court for the Southern District of New York with engaging in deliberate misconduct and making false statements, the U.S. Attorney’s Office said in a statement Tuesday. The charges stem from tests of the diesel fuel used in emergency power generators that the Nuclear Regulatory Commission requires the plant to maintain as part of its license. A criminal complaint says that 2011 tests showed particulate matter in the diesel fuel exceeded NRC limits. Wilson, chemistry manager at the plant from 2007 through 2012, is accused of fabricating resample tests to show that the fuel was within limits, then lying to other employees at the Buchanan, N.Y., plant about it. The complaint says that Wilson later admitted to NRC personnel that he “fabricated the test results so that Indian Point would not have to shut down.” He resigned in April 2012. The nuclear plant, which is about 35 miles north of midtown Manhattan in New York City, later replaced one of the tanks involved in the tests that showed the excess particulates. 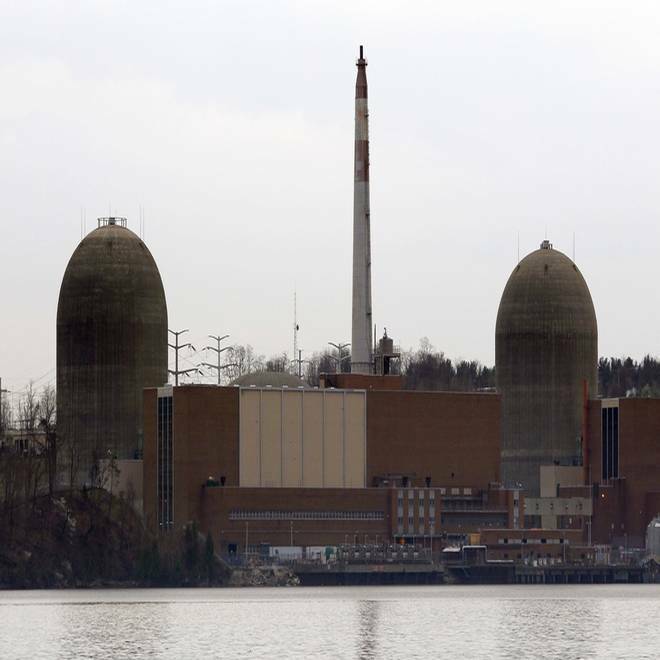 Plant owner Entergy said other employees of the Indian Point plant uncovered the deception. Wilson could not be reached for comment and it was not known if he had a lawyer. Entergy is involved in a long-running battle to get new 20-year licenses for the plant’s two reactors but faces stiff opposition from the state and environmental groups. The license for one reactor expires this September; the NRC said it can continue operating pending a decision on the relicensing. After the 2011 earthquake and meltdown in Japan, it was revealed that Indian Point was rated by the NRC as having the highest risk of catastrophic failure because of an earthquake of any nuclear plant in the United States. Other incidents have provided fodder for opponents of the relicensing. In February, one of the reactors was forced to shut down because two pumps stopped working. In 2009, an estimated 600,000 gallons of radioactive steam was released during a shutdown. The NRC said the level of tritium released was within acceptable federal levels for drinking water. But the New York Daily News noted that the release was in steam not drinking water and that the Environmental Protection Agency does not set a safe level for inhaled tritium. The NRC has said it believes the plant is safe and gave the reactors a "green rating" for safety in 2012. Read and vote on readers' story tips and suggested topics for investigation or submit your own. Click here to read more about this tool.